Organic Mushroom Cultivation is critical for health and safety. Most mushrooms concentrate, whether it is nutrients, minerals or toxins. They will grow on varied substrates so it becomes very important how and where your mushrooms grow. When using them for food it is important, but when using them for medicine, it seems crazy to put poison in your body when trying to heal! Organic is a good start, but it can be cheated, and I like to know exactly what my mushrooms have been exposed to. Growing on trees and stumps seems organic and in most cases can be called organic, but it is necessary to know where these trees grow. Trees growing by busy roadways absorb toxins from exhaust as well as tires and brakes. Mushrooms then concentrate these toxins, and release them to the consumer. Substrates whether from farms or forest need to be scrutinized for contaminates. Organic is a buzz word right now and I am glad people have been awaken to this worthy cause. Large agriculture and big business is in it for the money. They will grow on whatever is economically feasible, within our weak, and vague organic rules, to turn a buck. This should not be confused with what you or I consider to be organic, and safe. The only safe way to know what you are eating, is to grow or pick it yourself. The only other way is to know your farmer, support them, and pay them well! The Conifer Coral, Hercium abeitis, grows on pines and would be a good candidate for inoculating pine stumps. I have seen this mushroom growing from partially submerged logs. The fact that it enjoys this habitiat leads me to believe it would be happy growing from stumps. Literature from places that sell plug spawn for this mushroom (Fungi Perfecti) support the theory. 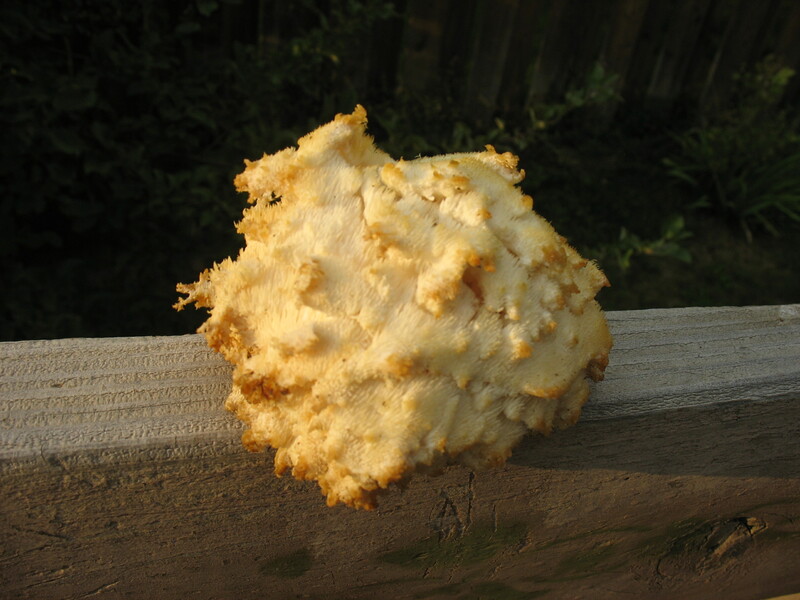 The Conifer Coral is from the Hericium family and is related to the Lions Mane which is a beatutiful mushroom also. They are both choice edibles and are easy to prepare. I am going to spread this mushroom around to some pine stumps this year. There are plenty to inoculate with the pine beetle kill. I encourage you to do the same. Mushroom hunting, or harvesting, is all about the patches that you find or grow. Once you find some good places that mushrooms grow, you have a (hopefully) private patch. Patches have obvious advantages because you have found or placed mushrooms there, so you have a better chance of finding mushrooms than wandering around the woods. Don’t get me wrong, I love to wander around the woods! So you have your patch, and if you are careful you can harvest it for years. I also have found that patchs or mushroomy places sometimes produce several types of mushrooms at different times. Another handy thing about known patches, is they tell you when to wander about looking for new patches. If Oysters are flushing in your known spot, you are likely to find new sources when searching in the woods. I also keep my eye on some patches in town that I won’t eat for a variety of reasons. These patches tell me when my hidden mushroom patches, that are harder to get to, are ready to check. This brings up an earlier topic of cultivating stump mushrooms, and watching them to indicate when their wild cousins are ready to check . I think this is an excellent way to know when to look for wild mushrooms and helps with identification of the wild cousin. Once you have grown Oysters you will know them in the wild. 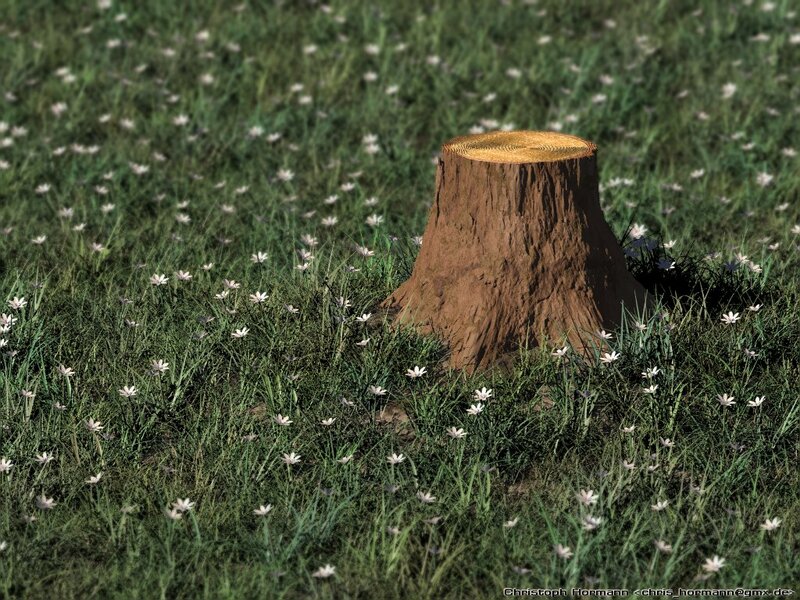 I can not walk by a stump without thinking, that stump could be growing mushrooms. Stumps are the most under utilized substrate (material) for growing mushrooms that I see. Choosing the right mushroom for the stump is important, but many mushrooms will grow on a variety of stumps. 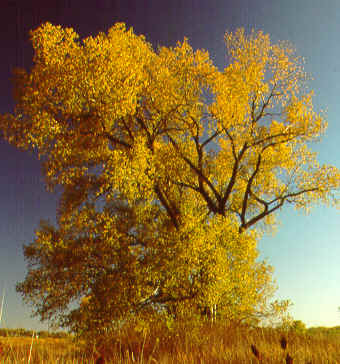 Cottonwood stumps in particular will host a wide variety of mushrooms. 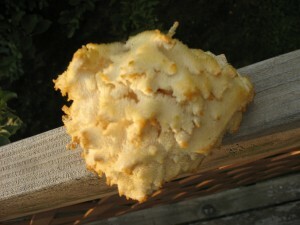 The mushroom consumes the stump and the root system, and mushrooms can be harvested for years on a seasonal basis. The root system gives a place for the mycelium to hide in bad weather, and a place to get moisture for fruiting when the weather is ripe for the flush. 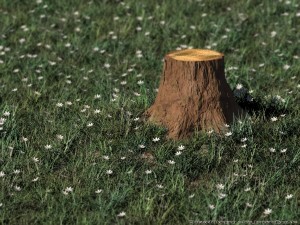 It bothers me to see stumps ground up, pulled out of the ground, or chemically removed, when they could be inoculated. Food can be harvested for years, and the stump is reduced to great soil for planting. When included with inoculation of the tree material removed, food can be harvested from a process that usually involves a lot of waste, and filling of our landfills. Good candidates are oysters for hardwoods, and conifer corals for conifers. Inoculation can be with dowels or various spawns. This is another great way that mushrooms can help reduce waste while providing a usable product.